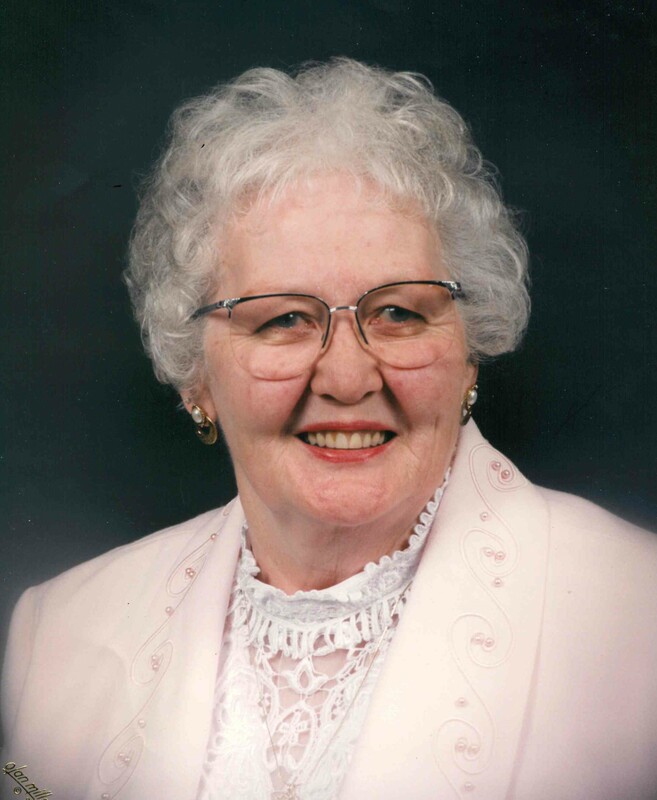 Ruth Ellen (Johnson) Schroeder, age 95, of Kenosha passed away on Monday, March 25, 2019 at Brookside Care Center. Ruth was born on October 11, 1923 in Kenosha. She was the daughter of the late Arvid and Ellen (Norman) Johnson. She was baptized January 29, 1924 and was confirmed May 16, 1937. Ruth graduated from Bradford High School in 1941 and then attended Vocational School for about a year. She was a lifetime resident of Kenosha except for a 6-year period when her family moved to Elkhorn. Ruth worked for Johns-Manville in Waukegan until her enlistment in the United States Navy as a WAVE, serving from November 2, 1944 until May 21, 1946. She attended Yeoman School and traveled to New York, Iowa, St. Louis, Chicago and Great Lakes. On August 3, 1946 she was united in marriage to Alvin R. Schroeder at St. Paul’s Lutheran Church for 38 wonderful years until he preceded her in death on April 10, 1984. She worked as a secretary, bookkeeper, and finally for the Department of Corrections where she retired in 1997 at the age of 74. She was a lifelong member of St. Paul’s Lutheran Church, was a Sunday School teacher, choir member and played piano for Sunday School and church for many years. She was a deeply faithful woman and her many church activites were very important to her. Mostly she enjoyed her family and friends, playing cards, enjoyed classical and religious music and playing the piano. She loved animals of every type and the mother to many different animals over the years. She was a loving mother and grandmother. She was preceded in death by, her brother, Arnold Johnson who died only 3 weeks after her husband and a sister, June who died in 2009. Ruth is survived by, two children, Craig Schroeder of Cottage Grove and Laurie (Randy) Harnack of Whitewater and her grandson, Daniel Harnack. Funeral services for Ruth will be held at 11:00 A.M. on Friday, March 29, 2019 at St. Paul’s Lutheran Church (8760 – 37th Avenue) with interment to follow at Green Ridge Cemetery. A visitation with the family will take place on Friday at the church from 9:30 A.M. until the time of service. In lieu of flowers, memorials to St. Paul’s Lutheran Church or Safe Harbor Humane Society would be appreciated. My condolences to you. Ruth was a great lady. I enjoyed working and socializing with her. She will be in my thoughts. I want you to know my thoughts and prayers are with you all during this most difficult time. Ruth was truly a great inspiration to me when we worked together. She was one amazing woman. God Bless.